Marked as one of the largest monolithic rocks in Asia, Savandurga is a hill located about 60 km west of Bengaluru off the Magadi road. 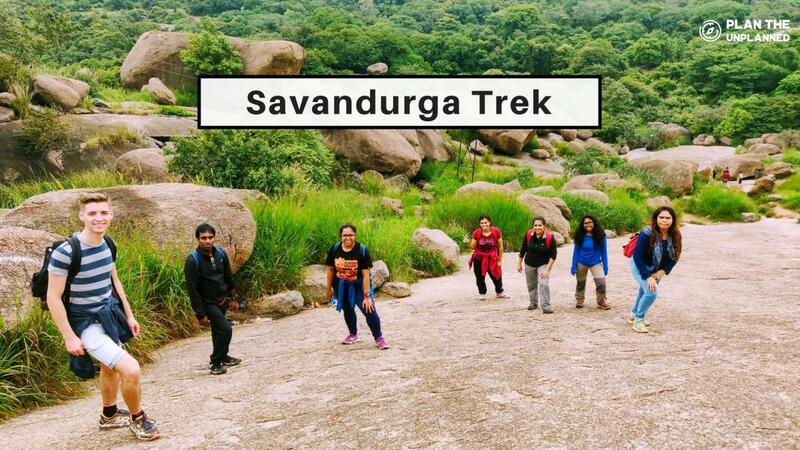 Savandurga is formed by two hills known locally as “Karigudda”, which in Kannada translates to “black hill” and Biligudda which translates to the “white hill”. -Consumption of alcohol, intoxicants and smoking would not be tolerated during the entire course of the journey. Kindly co-operate with us to make the experience more fun. -Put Litter in its place, do not trash the mother earth. -In the case of traffic delays or breakdowns, expect a few delays in reaching the destination. -Plan The Unplanned will not be responsible for any loss/ hamper of your possessions. We request you to be alert about whatever you carry.